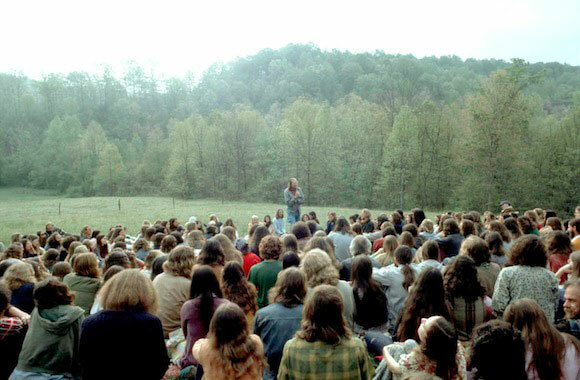 NYC PREMIERE In 1970, a countercultural caravan left San Francisco to return to nature, ultimately landing in rural Tennessee and establishing The Farm under the guidance of guru Stephen Gaskin. Filmmaker siblings Rena Mundo Croshere and Nadine Mundo were born there, the children of the rocky union between a Beverly Hills Jewish woman and a Bronx-born Puerto Rican. Decades after they departed—part of a larger exodus—the sisters return, offering their perspectives on the would-be utopian community they once called home. Take a look at HERE ONE DAY and other films focused on family dynamics.